Hi, I’m Jacob Boden and am 13 years of age. I started shooting just before my 10th birthday with a ‘have a go’ session and soon became hooked. During the next outdoor season I managed to represent my County of Lincolnshire and this year will be my 5th year. Over the last 4 years I have gained the required scores for my Junior Master Bowmen and at the first Junior Masters in 2013 came third. Also that year I came 2nd and 3rd at JNOC. 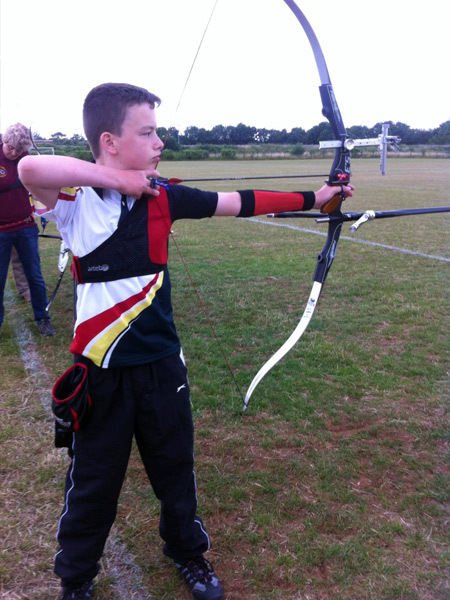 In the September I was accepted into the Archery GB Performance Academy and have been with Central group for 2 years. My aim is to become a National shooter for England and then Team GB as a cadet internationally and represent GB in the Olympics.